In celebration of the 2017 Lunar New Year, the KitKat Chocolatory has created 500 unique limited Special Edition Lunar New Year gift sets featuring traditional Asian flavours to share prosperity, wealth, and success in 2017. Sculpted around the classic KitKat wafer, KitKat’s chocolatiers have taken inspiration from the Asian region to create specialty flavours celebrating the Year of the Rooster, including Red Bean and Toasted Coconut, and Citrus Crème Brulee. 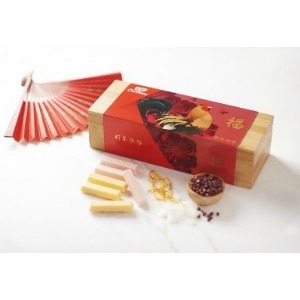 Each Chocolatory Lunar New Year gift set contains eight individually wrapped single pieces, encased in a bespoke bamboo box which are available exclusively in store at KitKat Chocolatory, Melbourne Central (Cnr La Trobe & Swanston Sts, Melbourne) from Thursday 19th January. On Sunday 29 January at 11.30am, the KitKat Chocolatory invites friends and family to Melbourne Central, to experience an official store blessing and lion dancing to celebrate Lunar New Year.